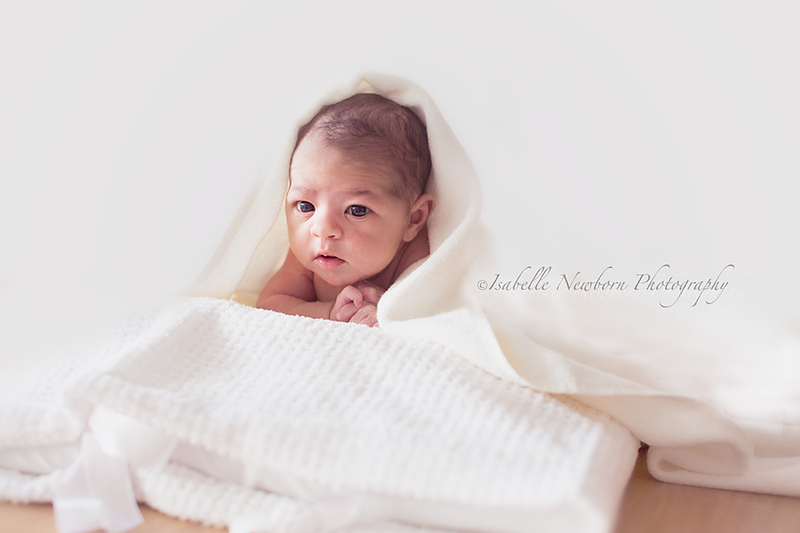 Here are a few simple tips that will help you take great baby photos. Always photograph your baby when she’s fed. A hungry baby will never be a relaxed or sleepy baby ! If your baby is lying on a surface, turn her face towards the light. Stand next to your baby so that her head is closer to your camera than her feet, not the other way around. If your baby is still a newborn, place baby on her back and bring her arms down. Babies often like to have their hand by their face, but this results in having half of their face hidden behind their hand / arm. If baby loves having her hand next to her face, then change your angle, photograph more from above to get more of her face. Or you can wrap your baby, keeping their hands down and away from their face. Another way of having most of the face in the photograph is to turn the head towards the ceiling. 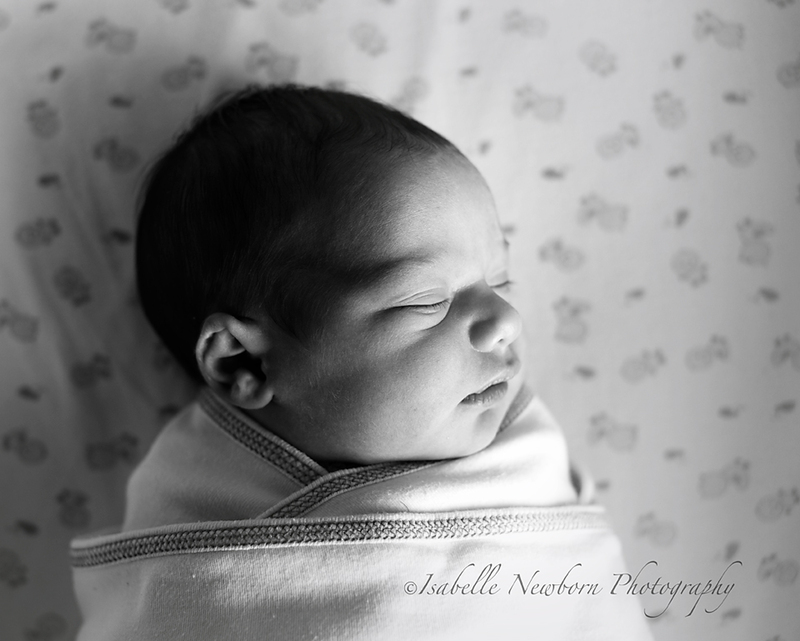 Babies head tend to disappear a little bit in the soft surface they are laying on. Turning their little face towards the ceiling ensures you will see most of it in your photograph. If baby is older and curious and alert place baby on tummy they will push themselves up and you can take some great photos ! Make sure your eyes are on the same height as theirs. Make sure you don’t have too many elements in your photograph. You want your baby to remain the focus. You can lay a nice comforting rug on your bed, if it has a lot of patterns, then choose some clothes for baby that aren’t too busy. The other way round works too. Plain blanket and clothes with patterns and details.